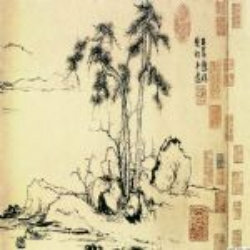 The Guqin (zither ) version of Moon over Mountain Pass (关山月,Guan Shan Yue) is here. The origin of Moon over Mountain Pass (关山月,Guan Shan Yue)dated back to Han Dynasty. It has become famous after the Poem of Li Po. A sea of clouds blows along the pale, wide sky. It has blown across the Jade Gate Pass. To waylay the men of Hu beside the Bright Green Bay. Not one man is seen returning. He thinks of his return home, and his face is very bitter. He sighs, and draws heavy breaths. How then can rest be his? Thank you for sharing the music.